A Bakersfield, California woman has named a black bear Ditka in honor of former Chicago Bears Head Coach Mike Ditka, the local NBC affiliate reports. "Ditka the Bear" returned to the Wofford Heights neighborhood again this week. "This is a bear that has come to visit us for the last couple of year," said Joyce Carlson. "He has caused some havoc around the neighborhood. 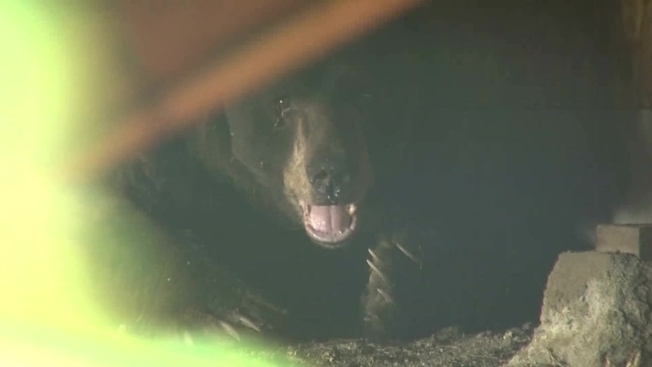 He ripped a big hole in the wall that we have in the back to get to the trash..."
This time, the bear was found hiding under the home of local resident Eric Barnes. The Kern County Department of Fish and Game showed up at the scene. Ditka the bear has since left the neighborhood.